Decommissioning, the removal and disposal of redundant oil and gas infrastructure, is more than an engineering task. It is a process involving, for its execution, every discipline in an oil company and its contractors. The award of a Production Licence for Oil and Gas involves an obligation to decommission the installed facilities according to local conventions and regulation. 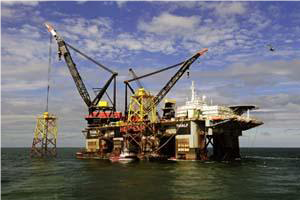 The decommissioning ‘market’ is large, with about 11,000 platforms installed globally. The rough split, by number, is Europe: 900, North America: 4200, Latin America: 900, Africa: 1200, Asia: 4000 and Australasia: 100 and, by type is, Piled – 79.5%, Caissons – 19% Jack ups – 1%, Gravity Based – 0.5%. A fall in oil price precipitates the Cessation of Production. A Decommissioning Strategy is required because the end of life operation is always hostage to oil price fluctuations. Production is dependent upon a single high flow well or down hole electro-mechanical pumps experience sudden loss of well or pump. Production drops to Cessation levels and intervention does not recover production to an economic level. Towards the end of field life, managing production decline can be exploited by small, independent, oil companies who specialise in optimising recovery whilst operating in a minimum, but safe, cost regime. Governments encourage these companies to enter such mature production areas but not all installations will transfer, as many large companies prefer to carry out decommissioning themselves. 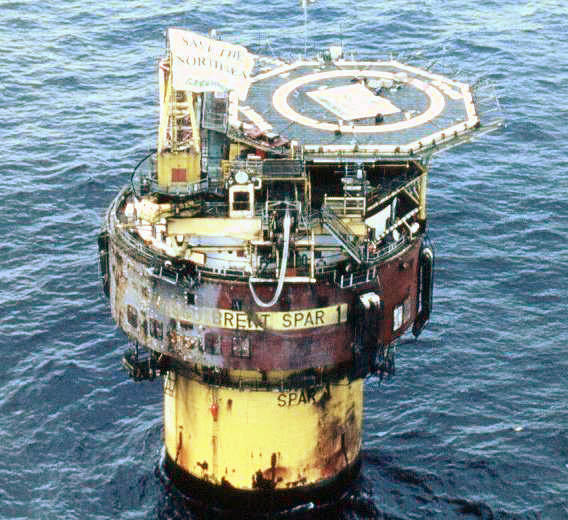 This stems from Shell UK suffering furore in the press and mainland Europe in 1995 when trying, legally, to dispose of the Brent Spar storage and loading buoy in deep water, west of Rockall. 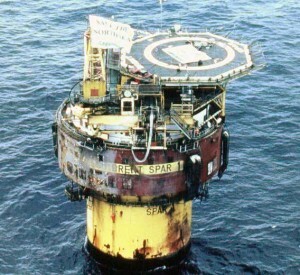 The disposal tow was interrupted by Greenpeace and resulted in the buoy being towed to a Norwegian Fjord for dismantling. Hence, companies became wary about allowing any aspect of decommissioning out of their management and public relations control. The confrontation with a ‘green’ NGO also caused the OSPAR nations to become more involved and increase the regulation. Decommissioning should be planned well in advance. The following European methodology is not untypical of other producing regions. At Cessation of Production (CoP) the Regulator (Oil & Gas Authority [OGA] in the UK) requires written submission that all reservoirs feeding the decommissioned facility have been economically drained by all reasonable measures to extend production. Additionally, adjacent potential reservoirs have been demonstrated to be uncommercial even if the installation were to remain. Without approval of the CoP the Decommissioning cannot commence. In parallel with the removal preparations the wells will require plugging and abandoning (P&A). This can be a lengthy process depending upon well complexity and numbers. Planning for the Decommissioning cleaning and removal phases requires certainty about the completion of these activities in order to optimise cost and schedule elements in contracts for the removal equipment. These various activities require cooperative effort from many disciplines to achieve an effective outcome. Decommissioning is a “no financial return process” so efficiency is required to achieve the minimum cost objectives. Cost Estimation generally assumes the most likely size of crane for lifting work. Estimates are built based on perception of consequent risks. There are more uncertainties in decommissioning than installation so significant elements of contingent cost are incorporated. If the risks are overstated the contractor has a ‘good’ project but the owners (and the Treasury) might have paid too much. Counter to this, if additional costs accrue, the budget might be insufficient so the owners must pay and accept the resultant cost overrun. Neither scenario is good for a no financial return process. A significant Decommissioning driver is regulation. The OSPAR Decommissioning Requirements 98/3 are the most stringent in the world. The OSPAR Convention covers most of the European Oil & Gas production area (UK, Norway, Netherlands, Denmark, Ireland and Atlantic Spain). It includes the North Sea and Irish Sea and stretches to Greenland and from the Arctic Circle to the Straits of Gibraltar but excludes the Mediterranean and the Baltic. All steel installations weighing less than 10,000 tonnes must be completely removed. A limited option for some parts of structures to be left in place is available but, since early 1999, new structures must be designed for eventual total removal. All abandoned installations in less than 75 metres of water and weighing less than 4000 tonnes, excluding deck and superstructure, should be entirely removed. All abandoned installations emplaced on the sea-bed after 1 January 1998, in less than 100 metres of water and weighing less than 4000 tonnes, excluding deck and superstructure, should be entirely removed. Any part of a structure left in place must have 55 metres clear water column above it or, if above the surface, be marked with navigation aids. The Coastal State may decide on a case by case basis the acceptability criteria for a structure, remaining in place. Reuse needs many parameters to match so finding an economical reuse is the exception. 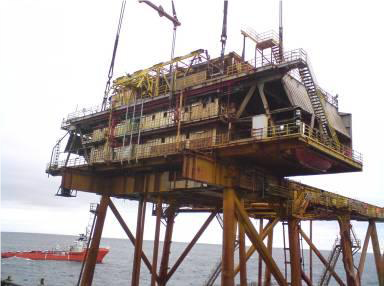 Large platforms are unsuitable where smaller, lower maintenance, installations or sub sea equipment are preferable. Old jackets have undefined fatigue stresses making re-installation, difficult. Topsides designed specifically for a particular reservoir fluid are not suitable for modification to accommodate new reservoir fluids. There has been some successful utilisation of parts of platforms in non-oil applications. E.g. Brent Spar and parts of Maureen as quays, Maureen Loading and NE Frigg Columns as marina walls. Recycle. Most of the materials returned to shore are recycled with a minimum target generally set at 98%. Decommissioning became a major topic because of action by Environmental NGOs. Scientific analysis of the activities involved in removal, rather than leaving installations, shows that it is not a benefit to the holistic environment. However, decommissioning operations, must address environmental concerns and issues. Globally, governments expect operating oil companies to pay for decommissioning. In Europe owners receive tax relief against decommissioning expenditure, as for new capital developments. Norway, because of its high taxation regime, is a notable exception. Here, the State underwrites most of the decommissioning liability (> 80%) leaving owners with a low liability whilst still having to execute the work. The UK has exposure to significant decommissioning costs accruing from the large Northern North Sea platforms. Depending upon the taxation regime levied on the field production the decommissioning relief can range from 40 or 50% to > 80% (if Petroleum Revenue Tax has been applied). The formulae are complex but it means the UK Treasury becomes a major contributor to the decommissioning expenditure. Current equipment resources could execute the work although the cost, safety, environmental and OSPAR issues might not be optimally executed. There is competition for the bulk of medium size steel piled platforms, but there is still an issue of dealing with larger platforms. Large steel structure removals are somewhat sporadic, one-off projects but business is steady in USA with growth in Latin America, S.E. 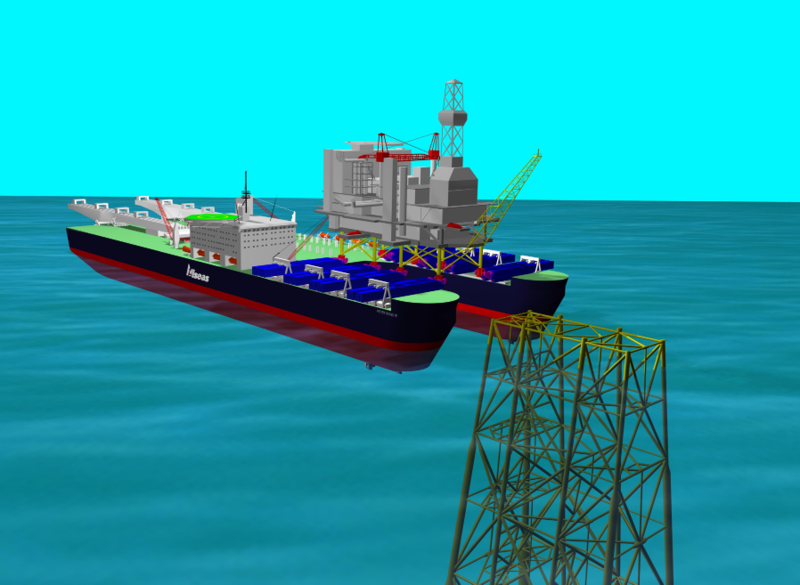 Asia and Europe and there are about 21 platforms which would appear to require the application of the new large Single Lift Vessel “Pioneering Spirit” (single lifting greater than 3000 Te loads but capable of up to 30,000Te). This is just being brought into service and will remove the Shell Brent Delta deck in the near future. The presence in the market place of a vessel, such as “Pioneering Spirit” is welcomed by European regulators because it fulfils a further requirement of the OSPAR Decision 98/3 to develop new decommissioning technology for large structures. Other single lift concepts are currently being developed. To date, particularly in the conditions in the Northern North Sea, oil companies anticipate most decommissioning scenarios to include large semi-submersible crane vessels (SSCV). The UK, alone, could absorb this crane capacity for significant periods without considering the rest of the world demand. In addition, there is a presupposition that the existing, fairly elderly, crane barges are technically capable of achieving the safe removal of all that is required, remain sea worthy and need no prolonged maintenance periods. Most coastal European countries have dismantling sites, generally where offshore fabrication has been active but with a few additions. Decommissioned platforms are required to be dismantled in the continental shelf country of operation otherwise complex transboundary waste transfer regulations come into force. In the Netherlands Rotterdam has had most activity but the two major European offshore countries are Norway with 18 sites and the United Kingdom (10 sites). Generally, Norwegian yards have deep water access. Relatively few sites have deep water access in UK meaning more reliance is placed on barges to land materials. There are many other details and aspects to Decommissioning. The more one probes the more complex it can become! 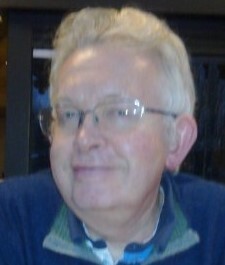 Geoff Tilling is an expert consultant specifically working in the area of Oil & Gas Decommissioning. He was Decommissioning Manager for Phillips Petroleum Company UK Limited and is a past chairman of the UKOOA (now ‘Oil & Gas UK’) Decommissioning Committee. Geoff also served on the International Association of Oil & Gas Producers (OGP) Decommissioning Committee, the UK North Sea Decommissioning Group and other similar focussed groups as well as presenting and chairing at many conferences and meetings worldwide. Contact Piers Johnson on 020 7428 1111 or by email to arrange a consultation with Geoff Tilling.